The DOST-ASTI generates scientific data through many of its research projects, which are part of an open data initiative that makes these outputs openly available to local research groups and the general public. Several of these projects have a more operational focus and the data is utilized by various agencies, local governments and non-government agencies – helping to provide actionable information for the effective implementation of their programs and activities. An example is the weather data from the extensive network of 2,000 weather stations built and deployed by the Institute all over the country. These stations regularly provide critical data that are used not just for further scientific studies but also in programs aimed at disaster risk reduction and management. Also, the Philippine Earth Data Resources Observation (PEDRO) Center, the ground receiving station set up to receive and process space-borne imageries from DIWATA-1, DIWATA-2 and other commercial satellites, is also building up its satellite image datasets. The PEDRO and DATOS teams are the DOST-ASTI’s current tag team in data processing, analysis and distribution. The teams were on alert during the recent eruption of Mayon Volcano in early 2018. 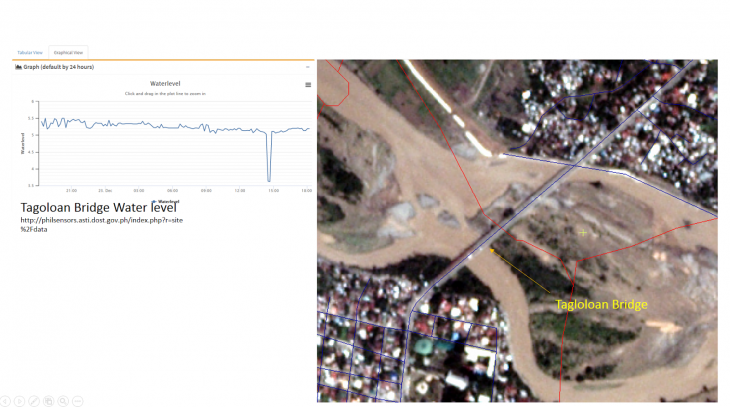 The DATOS team applied remote sensing and other related disciplines to assist the DOST- Philippine Institute of Volcanology and Seismology (DOST-PHIVOLCS), the mandated agency, to monitor the activities of Mayon. Using different data sets from various sources and the European Space Agency’s SAR satellite Sentinel 1, the team performed change detection analyses on the multitemporal satellite images, such as observing before and after images of Mayon to determine lava flow and other changes. Possible interpretations of the detected changes were analyzed, and the results were forwarded to DOST-PHIVOLCS as supplemental information for their in-depth analysis.